We have designed our service to give customers control over how much information they share. 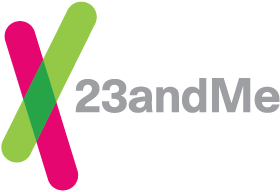 That includes giving our customers the prerogative to use a pseudonym when connecting with other 23andMe Community Members, if they wish. But no matter how you choose to identify yourself in our online community, our Terms of Service require that you provide true and accurate registration information and submit either your own saliva or that of a person from whom you have authorization. What this means is when you register your kit, you must use your true name. Once your kit has been registered, you may change your online profile name to any name you wish to use from within your account settings.